1. 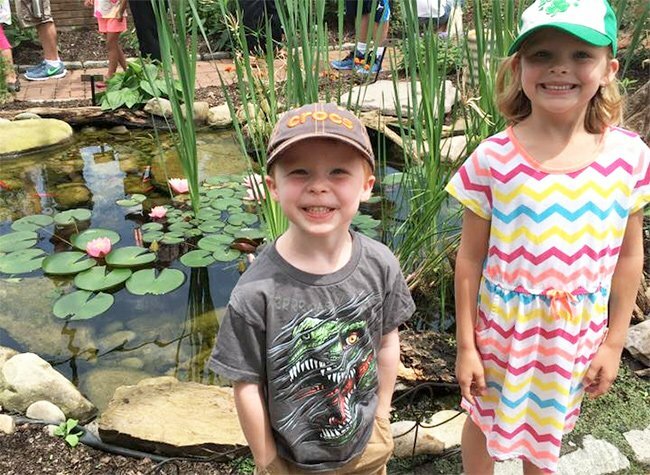 Be sure to visit Hershey Gardens. 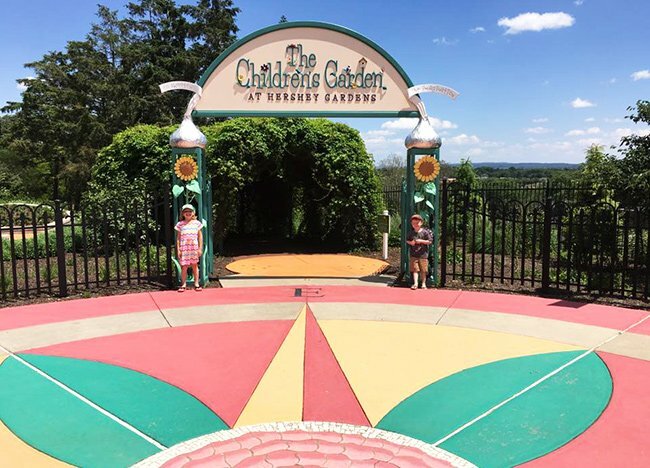 Money-saving Tip: If you are staying at a resort, sometimes they have tickets to Hershey Gardens at a discount or as part of a package deal. 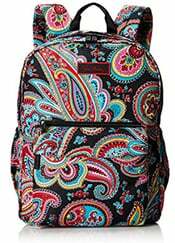 Ask about this when you book. Also, check the Hershey online Visitor’s Center for coupons. 2. Stay at one of the Hershey Resorts. Staying at one of the official Hershey Resorts may cost a little bit more than a regular hotel but you’re going to get a lot more out of it. We stayed at the Hershey Lodge. Not the fanciest one but it was great. 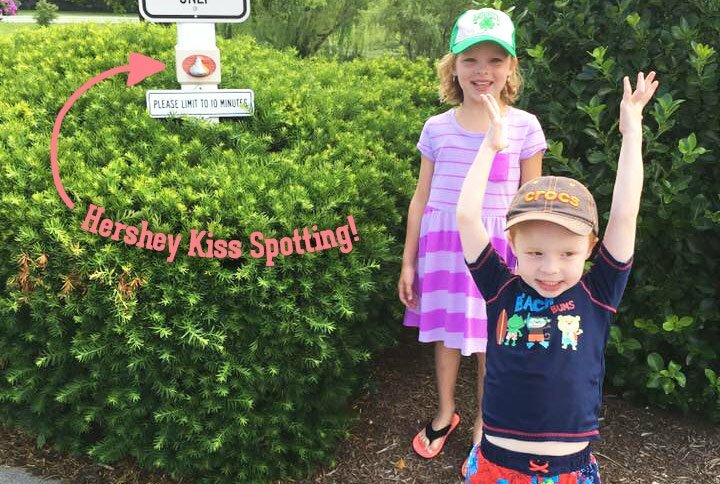 We all got a kick out of spotting the little Hershey details like the Hershey kisses even on the parking lot signs! At the Hershey Lodge they had fun little extras like a check-in just for kids where they were welcomed with free chocolate, of course! There were also a variety of places to eat right there and plenty of amenities so that we always had something to do next. 3. Plan time to use your hotel’s amenities. A hotel with a pool sounds fantastic but if you don’t schedule in chunks of time to use it, then you are essentially wasting money. The Hershey Lodge, where we stayed, offered a (brand new!) 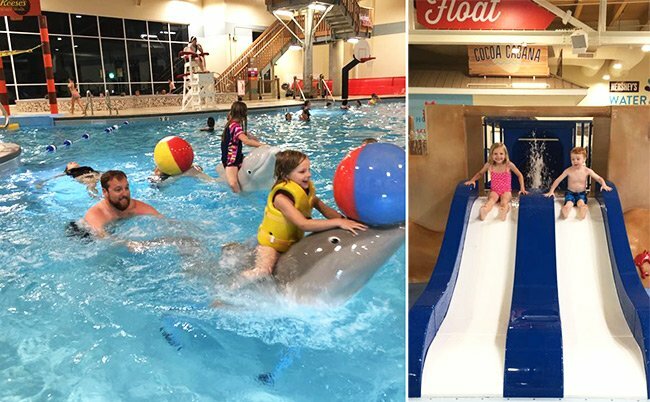 indoor water park, an arcade, a Lego room (much to my daughter’s excitement), an outdoor splash pad, an outdoor pool and a mini golf course. 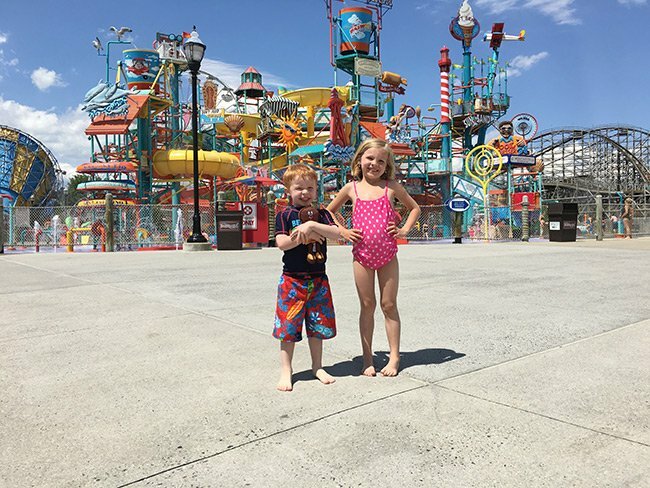 The kids honestly had just as much at the indoor water park as they did at the Hershey Park water park so having that right there was a really nice perk. Planning tip: Check the hours of operation for each amenity. We didn’t realize the outdoor pool and the mini golf course were only open on the weekends. That was a bummer. 4. Ask about the resort activities as soon as you arrive. Again, you are missing out on freebies here if you don’t take full advantage of all your resort is offering. If you don’t ask, you may not know about things that are happening. I happened to see someone buying a s’mores kit in the café and asked the cashier about it. 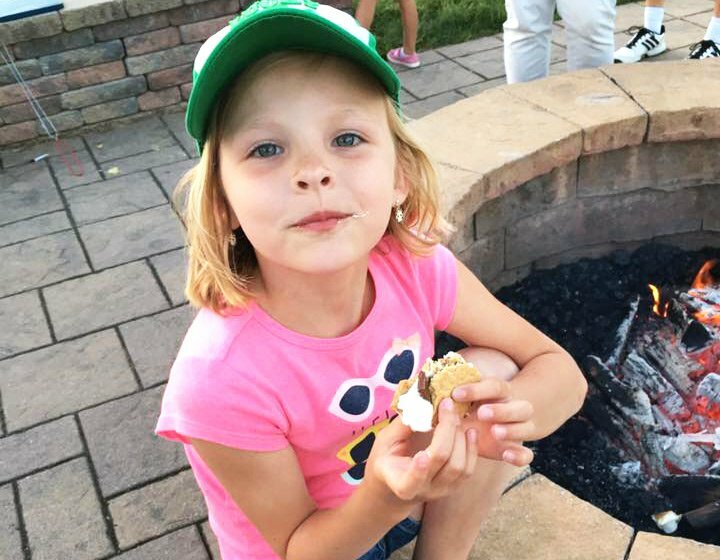 Come to find out, the Lodge had daily gatherings around their firepit for s’mores making! Money-saving tip: Pack your own s’mores kits! 5. Be open to meeting new friends. Some of my most memorable moments of vacation when I was a kid were playing and laughing with new friends. Vacations are a nice time to reconnect with your own family members but don’t be afraid to welcome others into your fun. 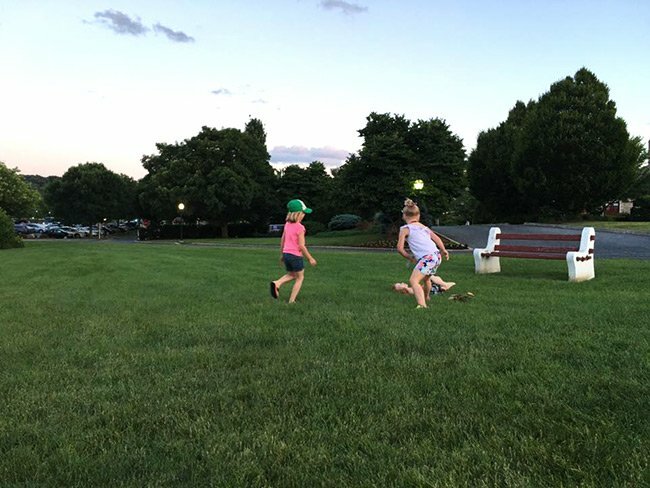 The kids had a blast playing tag in the front yard of the resort with their new friend! 6. Take full advantage of the free shuttle. 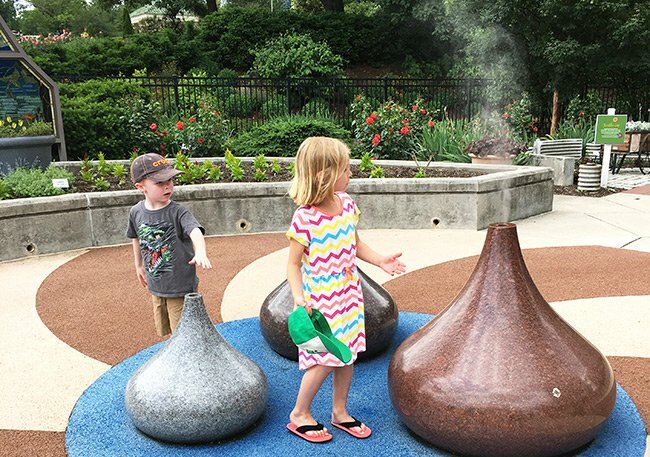 Planning tip: Hershey’s Chocolate Tour is a really cool FREE ride that’s located right before the entrance to Hershey Park. We waited until the end of the night and went on the tour. Check the times, but it worked out that we were able to catch one of the last rides so there wasn’t a very long line and then we grabbed the shuttle afterwards, which picked up right out front. 7. Buy your kids a stuffed animal. The first time they ask. I know, I know. But let’s be honest, unless you’ve got your kids well trained not to ask for things incessantly (if so, comment below with your how-to please! ), then your kids are going to bug the heck out of you until they get some kind of souvenir. Mine love stuffed animals. I bought them each one with the promise that they would not ask me for anything else. They actually obliged and were so happy to get these little guys, carried them all around the park and played with them in line. Their new buddies went everywhere with us and were a welcome distraction during down times like when we were waiting for meals, etc. Well worth the $10/each I paid for them. Do yourself a favor, buy them early on. 8. Encourage Your Kids to Ride. Even Especially if They’re Scared. At Hershey Park, it’s all fun and games until someone refuses to go on the rides. If your kids are tall enough, they’ll be fine. Unless they are completely flipping their lid, make them go! 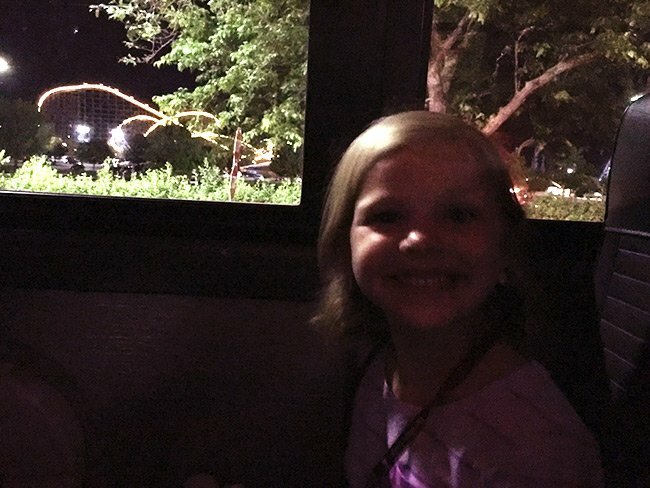 Encourage them, tell them how brave they are, get them all pumped up to ride those big coasters because the more scared they are, the more pride they will feel when they step off the roller coaster. That ride is what they will be talking about for months following the trip. See above. 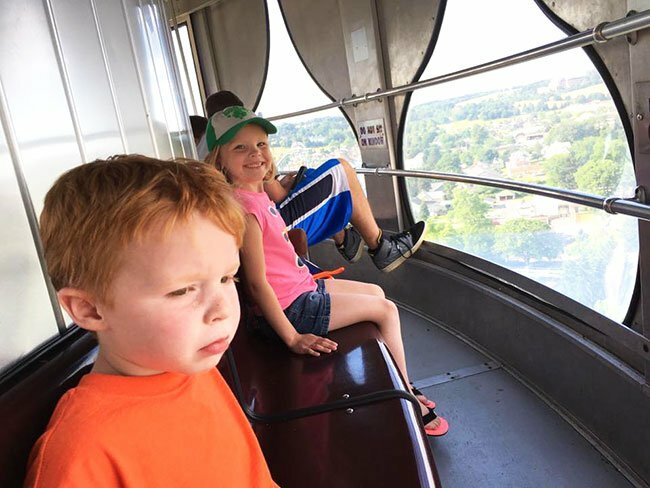 My son, 5, scared to ride the Kissing Tower. Afterwards, that sad face turned into a smiling, proud face. He also rode the Sooper Dooper Looper that goes upside down and L-O-V-E-D it. Was he terrified waiting in line? Yup! 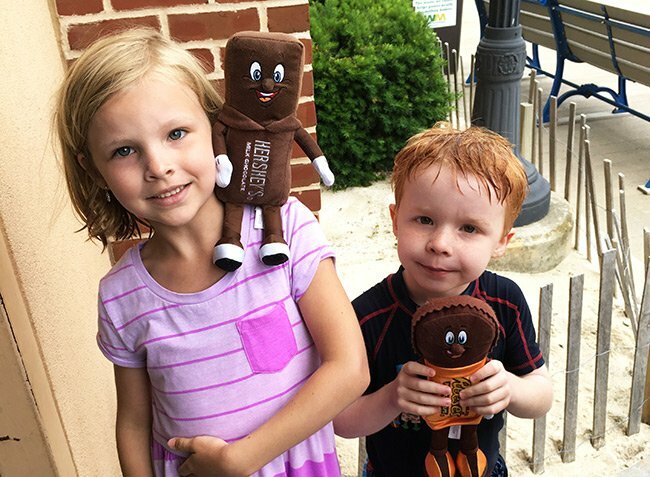 Money-saving tips: All Hershey Park tickets come with “preview” hours. This means that you get to use your tickets the evening before you plan to use them for the full next day. This worked out great for us. Since my husband had a conference, he was able to purchase a twilight ticket which was cheaper than a full day pass and we purchased regular day passes. We then used the Preview part of our pass to spend a few hours at the park with him in the evening. The next day just the kids and I went to the park for the full day. For current park ticket information visit the Hershey Park site. 9. Pack your swimsuits. You will NOT want to miss the water park! Money-saving tip: As of 2017, you can’t bring your own food and drink into the park other than one water bottle per person. So, eat a big breakfast before you go and you can always grab some quick snacks to keep you going until dinner. We grabbed Subway chocolate chips cookies and Gatorade which kept us going without breaking the bank. 10. Don’t bring your fancy camera to the park. Freebie alert! Character photos are FREE and do not need to be scheduled! So if you see one roaming around, quick! Give them a hug and snap a photo. 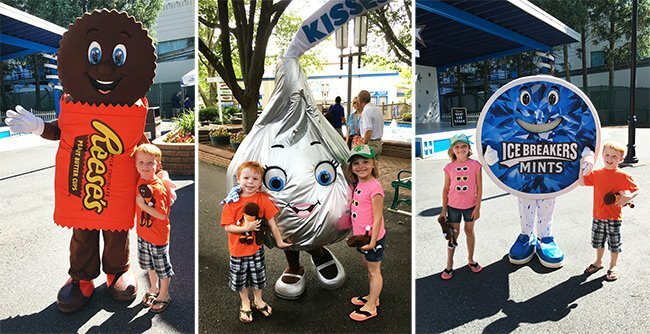 Update: When we went to Hershey this spring (2017), the characters had professional photographers roaming around with them but they still allowed you to take your own photo. Note: This post is not in any way sponsored or endorsed by Hershey or its affiliates. The tips provided are based on opinion and therefor mightymrs.com cannot be held liable for your actions or your interpretation of the opinions or tips herein. Is the preview hours for ticket holders only if you stay at the Hershey hotel or resort? Thanks for the heads up. You’re right. Here’s their new policy: “Other than one sealed water bottle per person, Hersheypark does not permit food or drink to be brought into the Park.” Bummer.